If you want a great family bonding experience and a great adventure at the North Pole for free. The SM City North Edsa offers that! 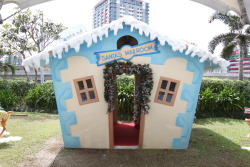 Your whole family or barkada can participate and have your photo taken at the Kissing Santa. Photo opportunity from November 12- January 10 during mall hours. Nothing will put you more in the Christmas spirit than a trip to the Northpole at SM City North EDSA! Storytelling happens every Saturday from November 26, December 3, 10, 17, 24 an January 6 scheduled @5pm. A Christmas film viewing happens every Friday November 25, December 2, 9, 16 and 23 at 4pm. 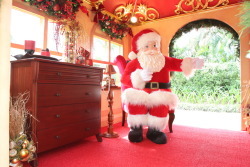 Get your picture taken with Santa Claus and his elves at the Santa’s Den. In this enchanted wonderland, you can write Santa what you’d like for Christmas at the Mailroom. There will be a cupcake decorating by Goldilocks every Saturday and Sunday from November 19, 20, 26, 27 and December 3, 4, 10, 11, 17, 18, 24 and 31 and also January 7 and 8 at 4pm. 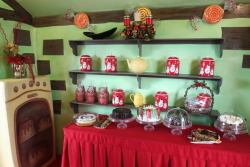 Cake decorating Courtesy of Goldilocks every friday from November 25 December 2, 9, 16, 23, 30 and January 6 at 4pm. 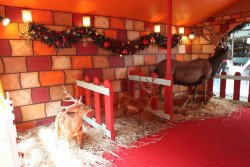 It's the perfect time to meet the Reindeers. 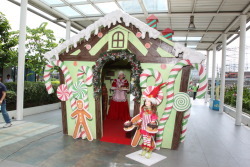 Be part of the excitement and catch Mrs. Claus kissing Santa at the Sky Garden Waterfall! Celebrate the holiday season in the City! 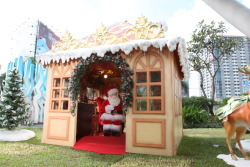 Experience the Northpole Christmas @ SM CITY NORTH EDSA! Be at the Happiest Mall this Christmas!